Connie Jimenez has been crowned Miss Ecuador 2016 during the ceremony held in the city of Machala , province of El Oro. 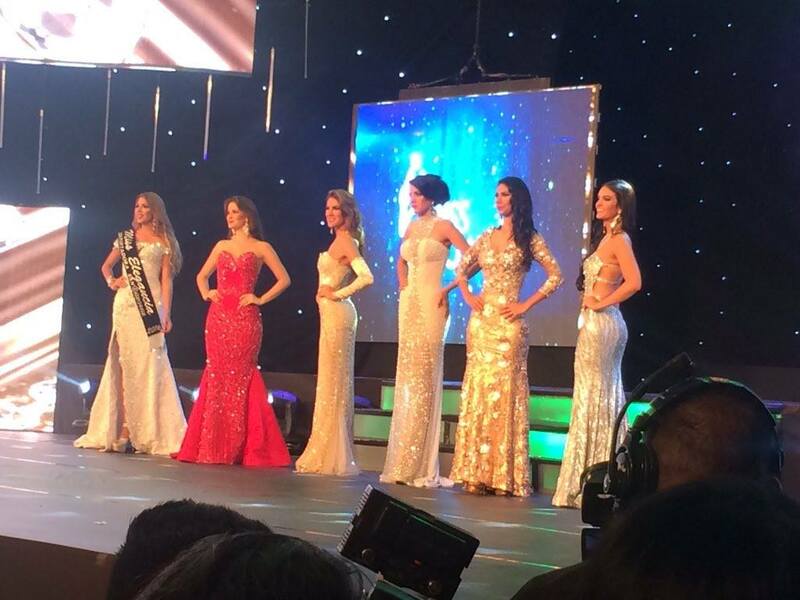 Francesca Cipriani, Miss Ecuador 2015 from Guayas crowned Connie Jimenez as her successor. Connie is 20 years old and stands 1.75 inch tall. She will represent Ecuador at the Miss Universe 2016 contest. The winner crown is design by Daniella Kronfle and is valued at $ 30,000. Connie Jimenez stood out among the 21 candidates , which were prepared for months and toured several provinces. The five finalists were: Bianka Fuentes (First Runner up), Ivanna Abad (Second Runner Up), Carmen Iglesias (Third Runner Up) Yoselin Noroña (Fourth Runner Up), and Maria Isabel Piñeyro (Fifth Runner Up). “What is the nicest thing you take the path of Beauty?”. “I take the memory to know the wildlife, the flora and the cuisine representing Ecuador and above all the human warmth”. “If you had the opportunity to be president what would be your most important ministry and why?”. What are according to your judgment and your experiences the differences between the generation of your parents and yours? “They are different generations We young people are the future of the motherland and the reflection of children.”. The gala tonight was conducted by Alejandra Argudo , Miss Ecuador 2014 , and Carlos Montero . The musical show was conducted by Johann Vera , exparticipante the reality La Banda , Univision , and Ki -Juan Minors. Connie Jimenez Romero is an engineer in Agribusiness Management , graduated from the Zamorano Pan-American Agricultural School. In a previous interview with the universe , she said she would like to work with women engaged in agriculture to help them improve their production and thus their quality of life .